TEHRAN (Tasnim) – A research team has developed the first biocompatible ion driven transistor that is fast enough to enable real-time signal sensing and stimulation of brain signals. A team led by Dion Khodagholy, assistant professor of electrical engineering at Columbia Engineering, and Jennifer N. Gelinas, Columbia University Medical Center, Department of Neurology, and the Institute for Genomic Medicine, has developed the transistor. The internal-ion-gated organic electrochemical transistor (IGT) operates via mobile ions contained within a conducting polymer channel to enable both volumetric capacitance (ionic interactions involving the entire bulk of the channel) and shortened ionic transit time. The IGT has large transconductance (amplification rate), high speed, and can be independently gated as well as microfabricated to create scalable conformable integrated circuits. In their study published in Science Advances, the researchers demonstrate the ability of their IGT to provide a miniaturized, soft, conformable interface with human skin, using local amplification to record high quality neural signals, suitable for advanced data processing, Tech Xplore reported. "We've made a transistor that can communicate using ions, the body's charge carriers, at speeds fast enough to perform complex computations required for neurophysiology, the study of the nervous system function," Khodagholy says. "Our transistor's channel is made out of fully biocompatible materials and can interact with both ions and electrons, making communication with neural signals of the body more efficient. 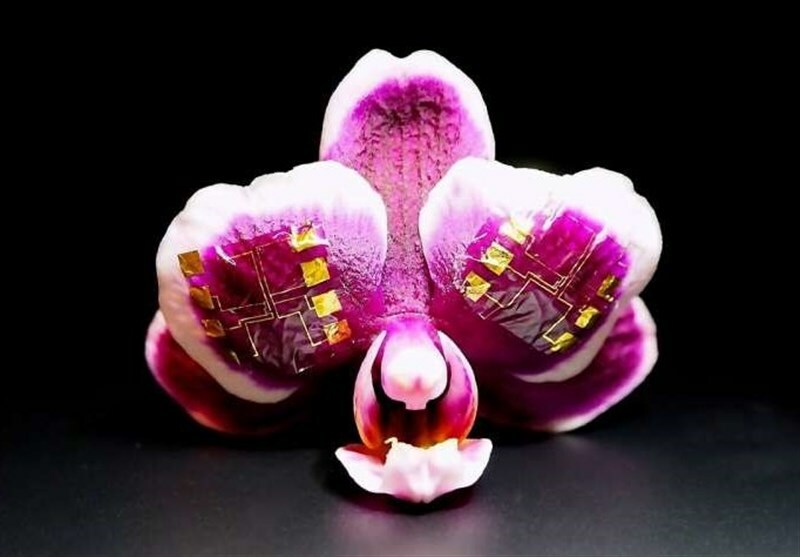 We'll now be able to build safer, smaller, and smarter bioelectronic devices, such as brain-machine interfaces, wearable electronics, and responsive therapeutic stimulation devices, that can be implanted in humans over long periods of time." In the past, traditional silicon-based transistors have been used in bioelectronic devices, but they must be carefully encapsulated to avoid contact with body fluids—both for the safety of the patient and the proper operation of the device. This requirement makes implants based on these transistors bulky and rigid. In parallel, a good deal of work has been done in the organic electronics field to create inherently flexible transistors out of plastic, including designs such as electrolyte-gated or electrochemical transistors that can modulate their output based on ionic currents. However, these devices cannot operate fast enough to perform the computations required for bioelectronic devices used in neurophysiology applications. Khodagholy and his postdoctoral research fellow George Spyropoulos, the first author of this work, built a transistor channel based on conducting polymers to enable ionic modulation, and, in order to make the device fast, they modified the material to have its own mobile ions. By shortening the distance that ions needed to travel within the polymer structure, they improved the speed of the transistor by an order of magnitude compared to other ionic devices of the same size. "Importantly, we only used completely biocompatible material to create this device. Our secret ingredient is D-sorbitol, or sugar," says Khodagholy. "Sugar molecules attract water molecules and not only help the transistor channel to stay hydrated, but also help the ions travel more easily and quickly within the channel." Because the IGT could significantly improve the ease and tolerability of electroencephalography (EEG) procedures for patients, the researchers selected this platform to demonstrate their device's translational capacity. Using their transistor to record human brain waves from the surface of the scalp, they showed that the IGT local amplification directly at the device-scalp interface enabled the contact size to be decreased by five orders of magnitude—the entire device easily fit between hair follicles, substantially simplifying placement. The device could also be easily manipulated by hand, improving mechanical and electrical stability. Moreover, because the micro-EEG IGT device conforms to the scalp, no chemical adhesives were needed, so the patient had no skin irritation from adhesives and was more comfortable overall. "Our original inspiration was to make a conformable transistor for neural implants," Gelinas notes. "While we specifically tested it for the brain, IGTs can also be used to record heart, muscle, and eye moment." "We are very excited that we could substantially improve ionic transistors by adding simple ingredients," Khodagholy notes. "With such speed and amplification, combined with their ease of microfabrication, these transistors could be applied to many different types of devices. There is great potential for the use of these devices to benefit patient care in the future."